To connect your Bitbucket repository to DeployBot click the “Repositories” tab, then select the “Connect a repository” button in the top left. Next, you’ll need to select the “ Bitbucket” box displayed at the top of the screen. Then select the “ Connect a new account” button. 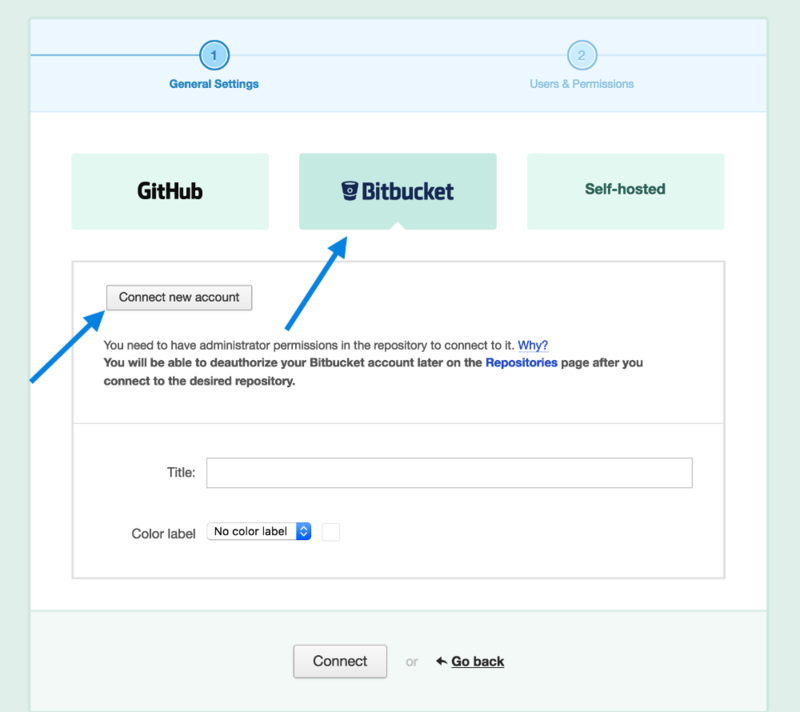 After authenticating your Bitbucket account, you can select your repository from the dropdown. After connecting to your repository, you’ll need to add DeployBot’s webhook to your Bitbucket account. This allows DeployBot to refresh the list of commits automatically, and to make automatic deployments possible. 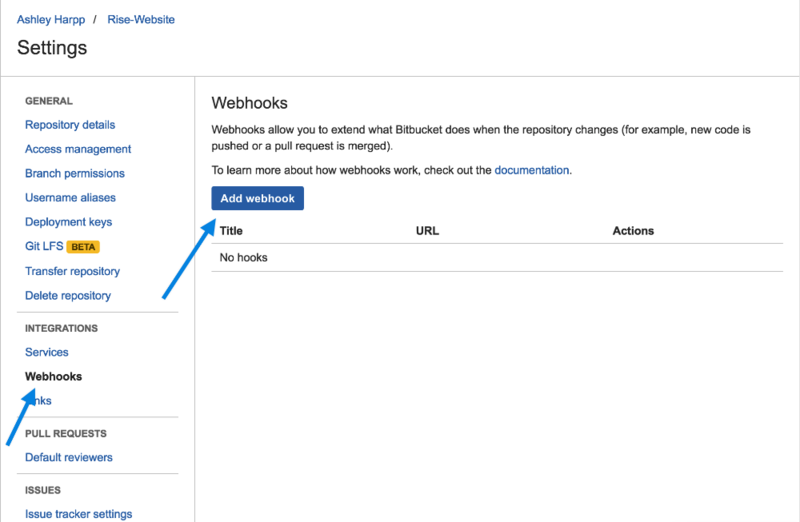 Go to your repository > Settings > Webhooks & Badges to locate your webhook. 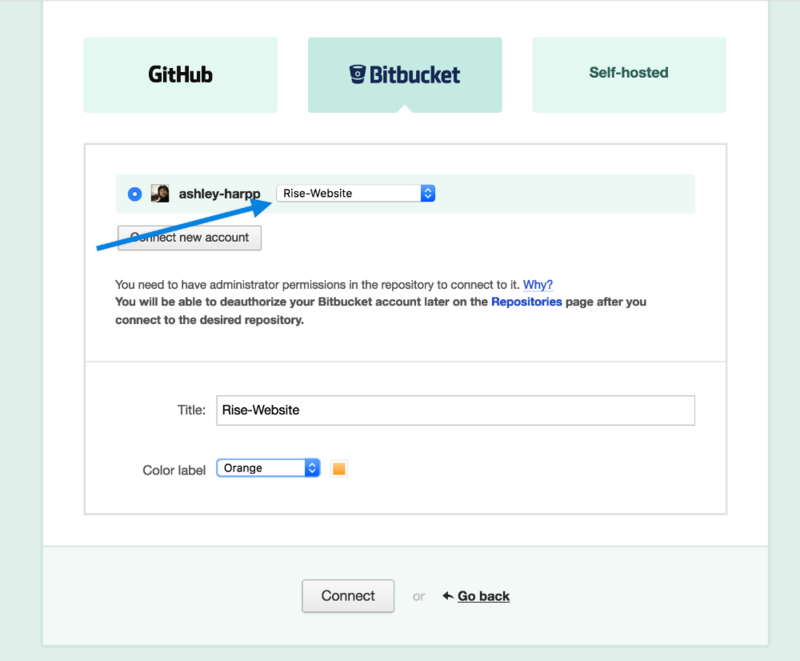 To add the webhook to Bitbucket, go to your repository settings in Bitbucket. Then select “ Webhook” from the side menu list, and click “Add webhook”. Please note: By default, DeployBot will connect to your Bitbucket repository using an SSH URL. You can change that on your repository settings page.